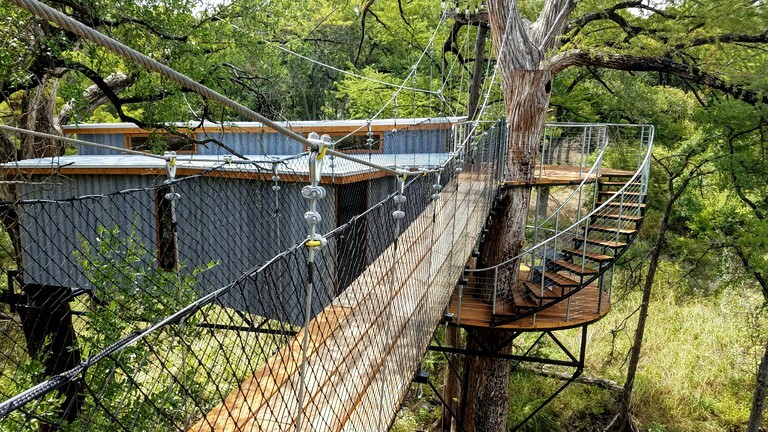 Situated between old-growth cypress trees, with the property's spring-fed creek below, guests will find this romantic tree house rental in Spicewood, Texas—perfect for a couple's getaway from Austin. 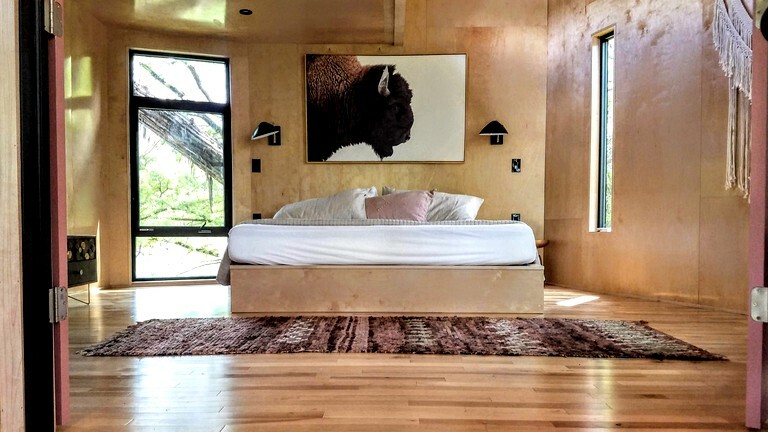 The tree house can accommodate two to three guests and features a bedroom with a king-size bed, heating, and air conditioning, as well as a small loft for the third guest's sleeping arrangements. 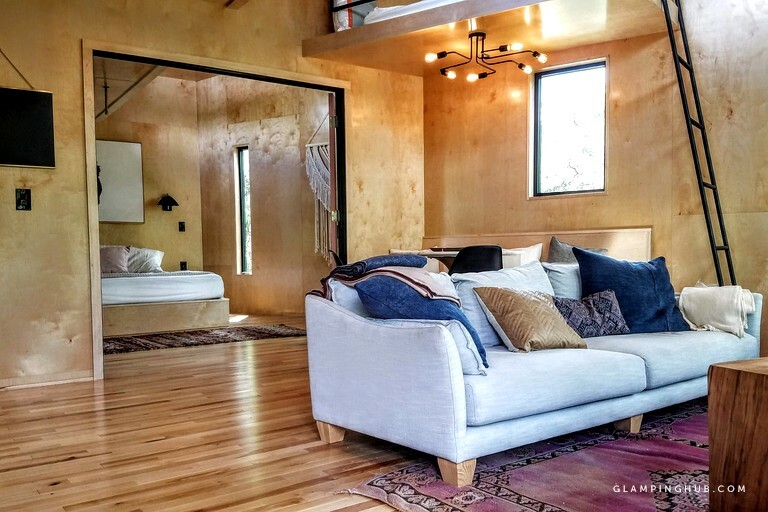 Across the bridge, guests will find their private bathhouse, where is a private bathroom with a soaking tub and a separate shower. Linens and towels are provided by the hosts. 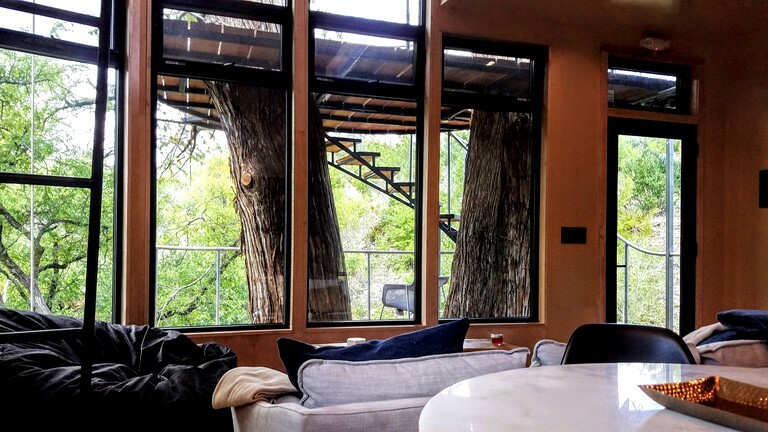 Moving throughout the tree house, there is a spacious living room with a sofa and a bean bag that overlooks the property's ravine, as well as a kitchenette and a dining area. The kitchenette comes with a coffeemaker, a tea kettle, a small induction stove, a refrigerator, plates, utensils, and glassware. Locally roasted Cuvee coffee, tea, and sugar are also provided.